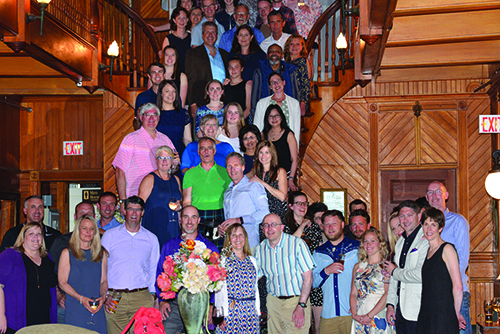 A strong contingent of rheumatologists from across the Maritime provinces descended on Dalvay by the Sea on Prince Edward Island for the 35th annual meeting of the Society of Atlantic Rheumatologists (SOAR) from June 22-24, 2018. The meeting was a great venue for rejuvenation of the mind and spirit, while spending some much-needed time with colleagues and family. In a break from tradition, we welcomed Dr. Mark Gilbert, PhD, Medical Humanities-(HEALS) Program from the Faculty of Medicine at Dalhousie University to our meeting this year. He enlightened us on the use of visual arts in medicine and made some great ties between the visual arts and the field of rheumatology. Finally, there were original research and interesting case presentations from our bright and talented rheumatologists-to-be. We are very fortunate to have such promising talent in our region! After their inaugural appearance at the 2017 SOAR meeting, The Big Country Ramblers were back by popular demand to get the group tapping their toes and moving to the rhythm of their rich bluegrass tunes. Rumor has it there was even a Bosnian Circle Dance performed. Now the unofficial band of SOAR, we are looking forward to having them join us again next year! SOAR members loved the venue so much that we unanimously decided to return to Dalvay by the Sea next year for the annual meeting from June 21-23, 2019. Save the date! The 35th annual SOAR meeting took place from June 22-24, 2018, at Dalvay by the Sea on Prince Edward Island. 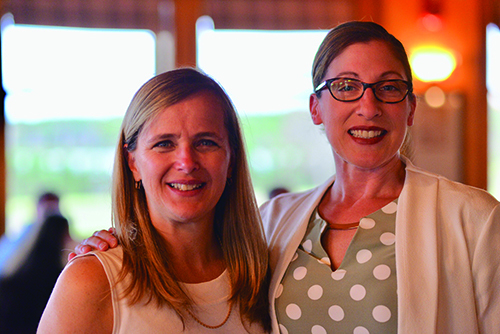 Dr. Diane Lacaille (left) and Dr. Rebecca Manno (right) were guest speakers at the meeting.